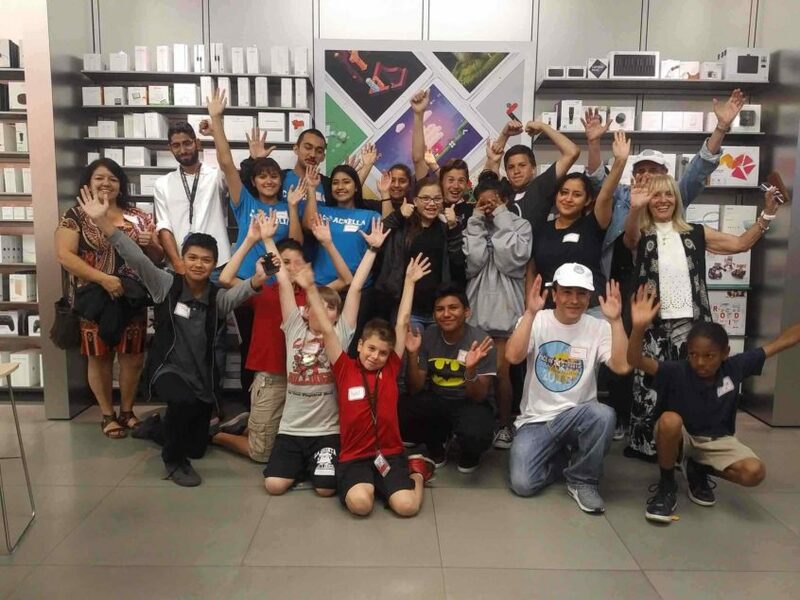 Our Stories Coachella Valley Apple Store Supports Peacemaker Corps in youth creating videos! Coachella Valley Apple store is in support of the Peacemaker Corps, we and our youth were gifted a space to learn and create videos in their store! Apple’s hospitality was over the top, each of our youth film makers felt so welcome and grateful for the help and education the Apple team generously shared with them. * All of the involved teams brought great energy and made the students feel welcomed and important. * Students got to brainstorm ideas and walk away with a plan of action for their video. * Students were punctual and allowed more time for instruction. We are in a learning process with Apple to support youth in creating videos for our upcoming Peace In The Streets Global Film Festival. We are excited and grateful for this opportunity and look forward to future dates working with Apple!